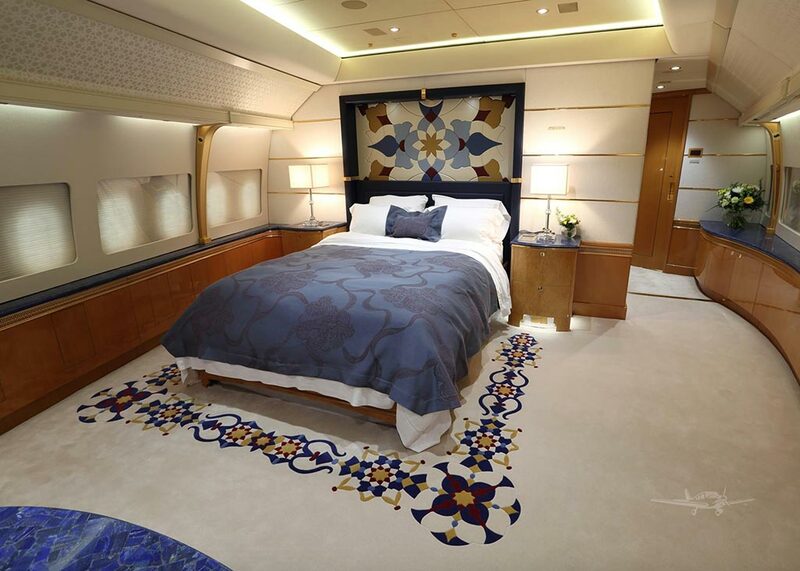 Qatar Amiri Flight, an airline owned and operated by Qatar government, put one of two 747-8i Boeing Business Jet (BBJ) aircraft on sale. Today this aircraft is known as the largest private aircraft in the world, A21 web site reported on August 20, 2018. This 747 came off the assembly line in Everett in December of 2012. 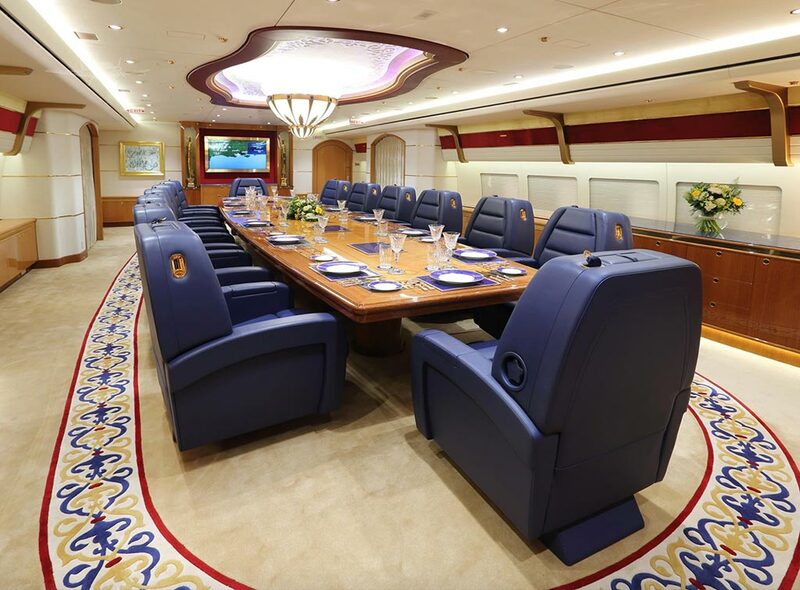 The Qatar government received the aircraft in 2015, after a couple years for outfit its VVIP interior. The aircraft, registered VQ-BSK, has accumulated only 436 flight hours! 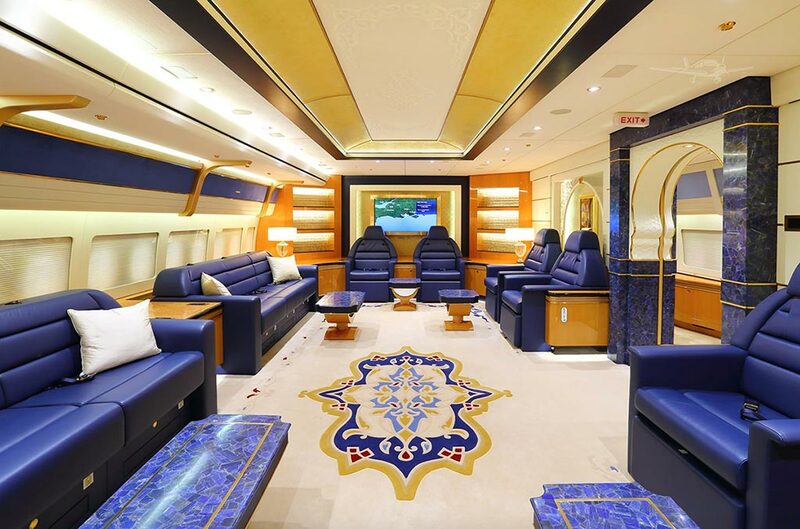 The cost of the private superjumbo has not been made public, but the list price of a new equipment of this model is approximately 370 million dollars. The Qatari Boeing 747-8i is designed to carry just 76 passengers and 18 crew members, for 94 people total, while a Boeing 747 can carry until 400 passengers in a three-class commercial configuration. It’s equipped with a Panasonic in-flight entertainment system and a full camera and security system. 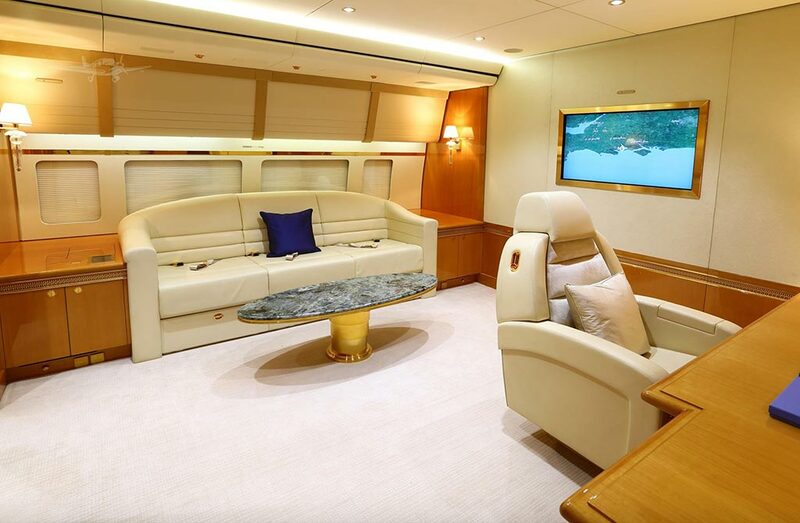 The aircraft has various staterooms, lounges, boardrooms, first class seating areas, and even its own hospital. The Qatar Amiri Flight fleet includes three A340s, two A330s, eight A320s, one A310, another B747-8i plus several C-17 and C130.